France & Lyon stopper Sarah Bouhaddi has been named THE WORLD’S BEST WOMAN GOALKEEPER 2017 in the IFFHS AWARDS. 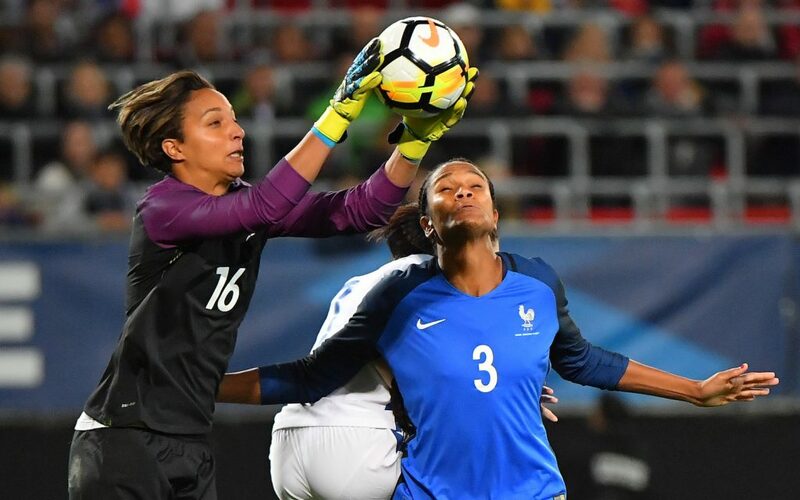 French and Olympique Lyon goalkeeper Sarah Bouhaddi has retained her title as The Best Woman’s Goalkeeper in the World with a runaway win in the IFFHS 2017 Awards. For the second year in a row, Bouhaddi has capped a great season and won the award with a clear 190 points. The award is voted for by football experts in 91 countries, from all continents. Netherlands and Arsenal keeper Sari Van Veenendaal came in second on 112 points, followed by third-placed Paris SG keeper Katarzyna Kiedrzynek of Poland, on 42 points. Bouhaddi has gained 120 international caps for France since 2004, won her 8th French national championship with Lyon, as well as her 6th French National Cup and her 4th Women’s UEFA Champions League title this year. She played a decisive part in winning that European title by saving a spot kick and then scoring the decisive penalty in the final shoot-out against Paris SG. Dutch keeper Sari Van Veenendaal also played a stellar season and her prowess and calmness between the sticks ability played a great part in the national team’s final victory in the Women’s Euro 2017. It was one of the major reasons behind her winning second place ahead of Katarzyna Kiedrzynek and the surprising progress of young Austrian keeper Manuela Zinsberger of Bayern München who was only two points away in fourth place. It is also the first time that Hope Solo, four-time winner of the Award (which perhaps indicates the people voting? ), has not appeared in the rankings since the awards started in 2012, because of her suspension and shoulder surgery. (She did not play any matches in 2017).